There are currently 634 Malaysian students studying in Germany, according to reports. However, the current Prime Minister Najib Abdul Razak claims that the country might consider sending more of its student to the European giant for a lot of reasons. There have been more negative remarks being heard about Pep Guardiola from Germany of late than the positive ones and most of those remarks, surprisingly, have come from the players of the team he managed there which is Bayern Munich. 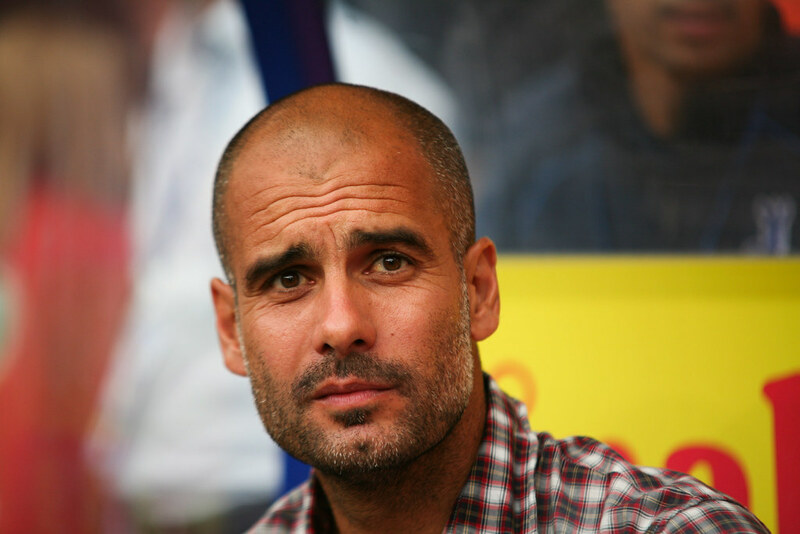 Can Guardiola guide City further than Bayern? Manchester City made their first serious stride forward in the Champions League last season, reaching the semi-finals of the competition. Manuel Pellegrini guided them through a group containing Juventus and Sevilla, finishing top of the table ahead of the Italian giants, despite losing both matches to Massimiliano Allegri’s men. The Citizens eased past Dynamo Kiev before edging past Paris Saint-Germain in the quarter-finals, securing a last-four berth where Real Madrid awaited them. There was little between the two sides over the course of the two legs, with Fernando’s own goal being the deciding factor in sending Real to the final in Milan. City scraped into fourth place in the Premier League last season, securing their place in this year’s tournament, although they were forced to see off Steaua Bucharest in their play-off fixture. The draw for the group stage set up a mouth-watering clash between Pep Guardiola and his former team Barcelona in a fierce battle for top spot in Group C, while Borussia Monchengladbach and Celtic will attempt to provide resistance. With Guardiola at the helm, City will be eyeing a breakthrough on the continent with their first European success, and given the investment poured into the team over the past eight years it is time for the club to become a force alongside Barca, Real and Bayern Munich. The Citizens are backed at 12/1 in the latest Champions League odds to win the crown for the first time, although they will have a major challenge ahead of them to end Spain’s recent dominance. As expected, City have started strongly under Guardiola’s tenure, winning all three of their Premier League matches thus far this season. However, their victories over Sunderland and West Ham United at the Etihad Stadium were far from convincing. Despite failing to put together a complete performance in the early stages of the campaign, City are top of the table, with Chelsea and bitter rivals Manchester United for company. Their display in their 5-0 hammering of Steaua was far more straightforward, although the standard of opposition was far below what they can expect for the remainder of the term across all four competitions. Sergio Aguero has hit the ground running in the new season, notching six goals in his opening five matches, including a hat-trick in the away leg in Bucharest. The Argentine holds the key to how far his side will progress in the Champions League this time around. Should he produce his best form on the continent then City will have a chance to match the firepower of the dominant teams in the competition. The 28-year-old was put under too much pressure last season as Wilfried Bony failed to fire, while Kelechi Iheanacho did not score in his four European matches.New signings Nolito and Leroy Sane will ease the strain on Aguero, while Raheem Sterling and Kevin de Bruyne will have benefited from a year to acclimatise to their new club, building a rapport with the Argentine spearheading the attack. Guardiola has proven that he is not afraid to make big changes at the club, having removed Joe Hart from between the sticks and sent the England international out on loan to Torino. He has now followed that decision by leaving Yaya Toure out of his squad for the group stage. Toure has been a polarising figure at the Etihad Stadium over recent seasons. The Ivorian has displayed brilliance at times on the pitch, but has also had the propensity to put in a number of sub-standard performances. His attitude has also come into question, and the latest development could see his time at the club come to an end. The 33-year-old’s absence will make Vincent Kompany’s return to action even more pressing for the Citizens given his leadership qualities. His injury problems have played a huge role in City’s struggles to add further trophies to their collection over the past two years. An extended absence this term could be mitigated by the signing of Jon Stones, while Nicolas Otamendi has appeared more comfortable in his second season. However, City’s success could well hinge on how much playing time their skipper can handle on the continent this term. Manchester United midfielder Bastian Schweinsteiger is reported to have rejected a move to Portugal giants Sporting Lisbon. The recently retired Germany international was set to be released by the club, but he resisted the move. He told the management that he would be staying put at Old Trafford. Bastian Schweinsteiger and Lukas Podolski have been part of the German national team for more than a decade. After the recent conclusion of the Euro 2016, these two players have also decided to concluded their international careers with immediate effect. Even though this has come as a shock to many of their fans, this decision was expected with both players entering into the 30s. It allows manager Joachim Loew to look at various younger alternatives going into the World Cup 2018 qualification campaign. Prior to the qualification campaign, though, Germany have decided to award both players an opportunity to say their final goodbyes. Schweinsteiger and Podolski will be featuring in one final game as confirmed by the German national FA. 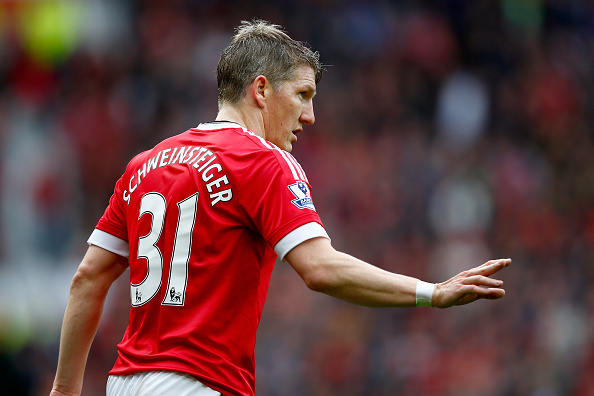 Schweinsteiger made 120 appearances for the national team and helped them win the World Cup 2014 title. However, he faces an uncertain future with regard to club and international career. After just announcing his international retirement, Schweinsteiger found himself training alone at United and is most likely to be sold before the end of the transfer window. Since his debut in 2004, Podolski has made 126 appearances and has also received the World Cup medal. Despite playing in the Turkish league with Galatasaray, Podolski has always been a first-team regular at international level.